Half-hour treatment sessions now available -£30 30 minutes. 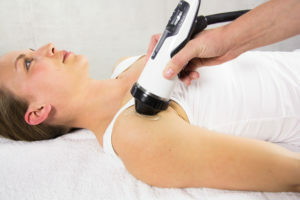 What Is Shockwave Therapy? Focus or Radial Shockwave Therapy ? Initially used to dissolve kidney stones without the need for surgery, the use of Shockwave Therapy to treat musculoskelatal disorders and tendon pain began in the 1990’s. Subsequent medical trials have shown a significant increase in the healing process when Shockwave Therapy is used as part of osteopathic treatment. The resonance (shockwave) is able to pentrate deeply into the affected area, stimulating blood flow to facilitate deep tissue healing and removing inflammation while the shockwaves also assist in the stimulation of pro-collagen synthesis enabling tendon regeneration and repair. The resonance created by the shockwaves may also considerably reduce painful sensation by reducing nerve irritation. All osteopathic treatment is centred upon the individual and so there is no comphrensive list of complaints which utlise Shockwave Therapy. 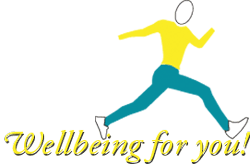 As part of your initial consultation and diagnosis, your osteopath Helen How will will assess the osteopathic treatment best suited to your specific requirements. Shockwave Therapy may be used as part of your treatment depending upon your condition and symptoms. 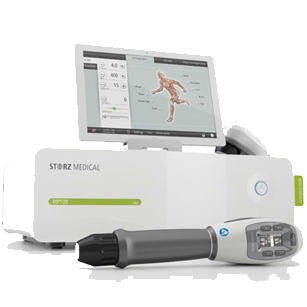 However, some of the conditions which are relieved by Storz Medical Focus Shockwave Therapy include: back pain and lower back pain, tennis elbow, hip pain, tendon pain and damage to tendons (including damage to the Achilles tendon). 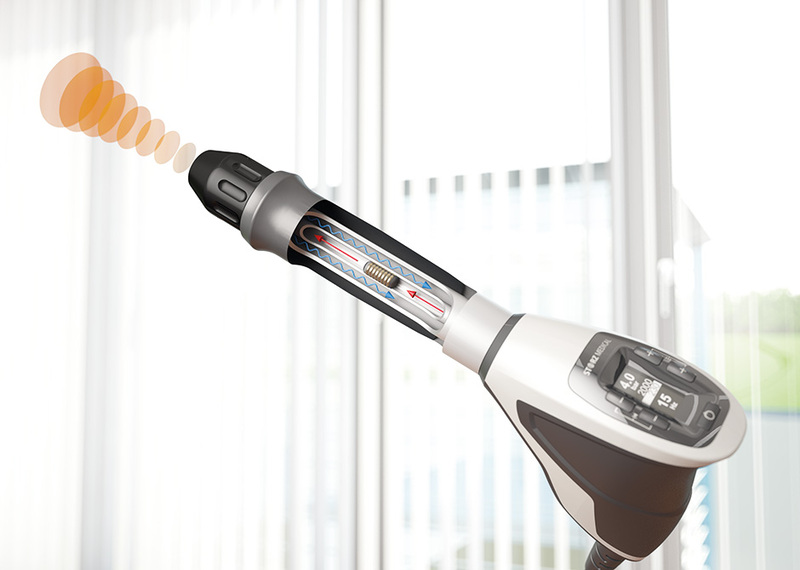 Despite the rather frightening name, Shockwave Therapy does not give you a “shock” but is instead a very gentle and effective osteopathic treatment for a large number of chronic and painful conditions, which one combines with exercise and rehabilitation management. Over 30 years of running had finally caught up with my Achilles. This time the injury was so bad I had difficulty even walking. Helen has me back running again. Her experience and knowledge combined with Shock Wave Therapy, and the other machines she uses has worked wonders. Together, we also worked out a rehabilitation programme involving stretching/exercises and long slow strength building activity. Thanks Helen. 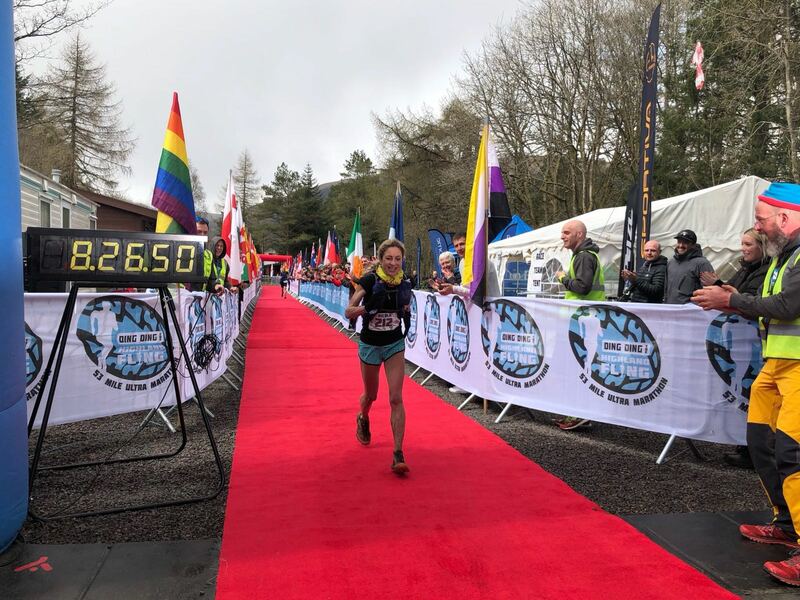 For more information on Shockwave Therapy or to book your appointment with Edinburgh osteopath Helen How, contact The How Osteopathic Clinic Edinburgh by email or telephone 0131 551 1044.